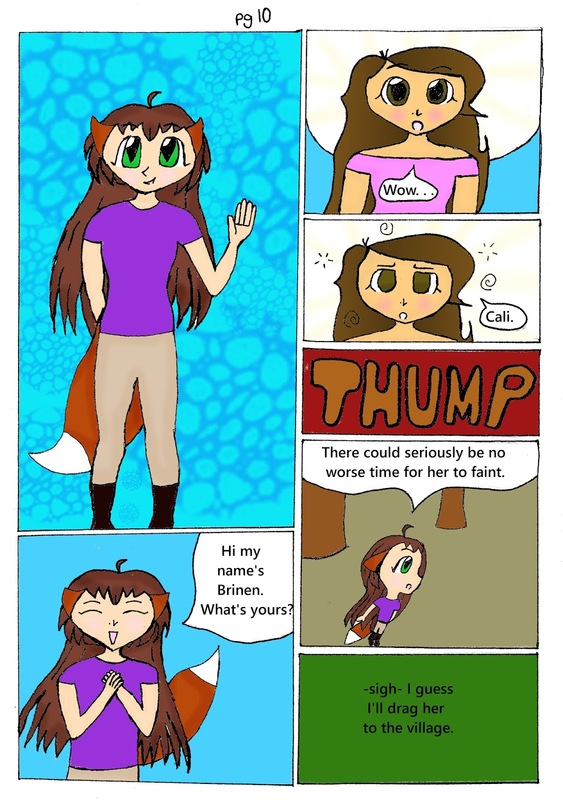 Brinen: Hi my name's Brinen. What's yours? Cali: Wow . . .
Brinen: There could seriously be no worse time for her to faint. Brinen: -Sigh- I guess I'll drag her to the village.